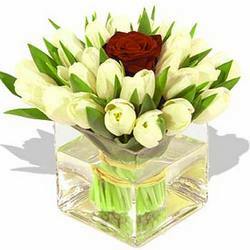 It's so sweet when two loving hearts are beating in unison! 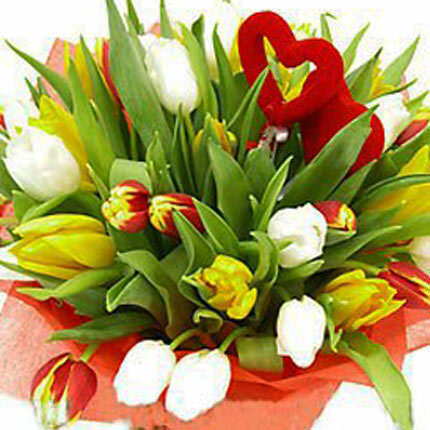 ... you don't need many words! 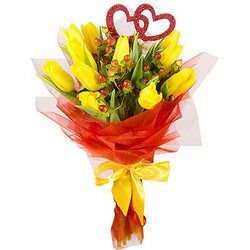 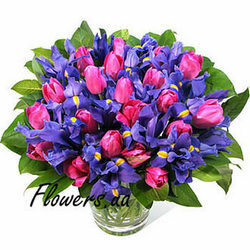 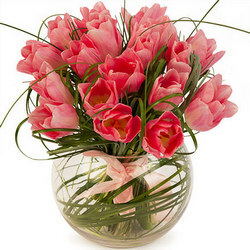 Bunch of bright tulips with two decorative hearts will tell everything instead of you! 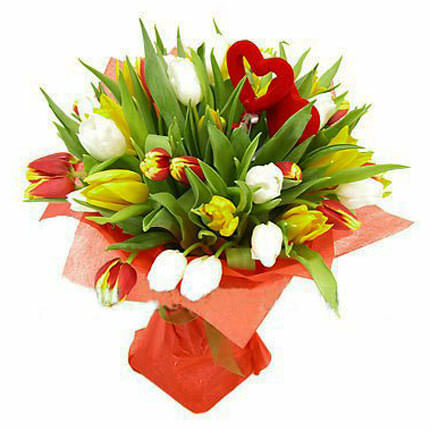 Composition: 19 multicolored tulips, two decorative hearts, decoration. 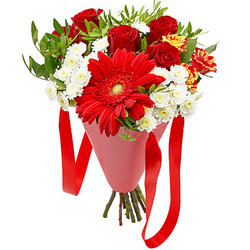 20032019 © Flowers.ua Bouquet "Two Hearts"